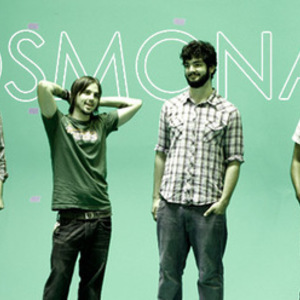 There are at least two artists known as Cosmonaut: (1) Cosmonaut is an emerging band out of New York City. They have released one EP entitled "She's In Heaven" and have been referred to as "garagegaze" and "somewhere halfway in between Kevin Shields and Stephen Malkmus". Listen to them here: myspace.com/cosmonautnyc (2) Finch frontman Nate Barcalow formed a band with Daniel Wonacott, Drew Marcogliese and Jon Fraser under the name Cosmonaut. They are no longer together. Demo tracks are available on Myspace and Purevolume. (2) Finch frontman Nate Barcalow formed a band with Daniel Wonacott, Drew Marcogliese and Jon Fraser under the name Cosmonaut. They are no longer together. Demo tracks are available on Myspace and Purevolume.